Dieting and exercise are not a proven and long-term solution for people who attempt to lose weight. Surgical treatment of obesity or bariatric surgery is a proven solution to fight obesity by shifting the body’s set-point to renew the patient’s life. Bariatrics can cure numerous medical diseases including diabetes, hypertension, high cholesterol, sleep apnea, liver disease, and arthritis among others. 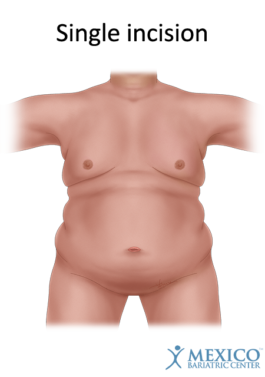 Obesity surgery works so well because it changes the physiology and creates a new ‘set point,’ in patients. Causing them to keep the weight off for the long-term. Weight loss surgeries can be classified into three broad categories, depended on their primary method of action. In other words, the way the operation achieves weight loss. Currently, there are three types of bariatric procedures; restrictive, malabsorptive and a combination of restrictive & malabsorptive. Restrictive bariatric procedures are procedures which ‘restrict’ the stomach’s capacity, thereby reducing caloric intake. The smaller stomach capacity will induce the feeling of fullness quicker than normal, prompting the patients to eat less. This method is seen in procedures such as adjustable gastric banding, vertical sleeve gastrectomy (gastric sleeve), and intragastric balloon. Malabsorptive bariatric procedures reroute, rearrange or remove part of the digestive system to reduce the body’s absorption of calories from food. 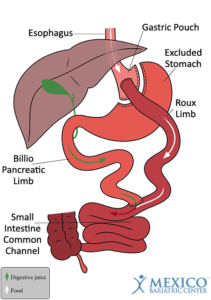 Malabsorptive typically produces more weight loss than restrictive but also produces higher unwanted complications and side effects. There are no stand-alone malabsorptive procedures being performed today, they’ve all graduated to a combination of restrictive and malabsorptive. Combination bariatric procedures provide individuals the best chance to reduce morbid obesity. Combination procedures use both techniques (restrictive and malabsorptive) to produce high amounts of ‘excess weight loss.’ Current combination surgeries still in operation are gastric bypass and duodenal switch. Below are the five primary weight loss surgery options that are typically accepted and practiced by bariatric surgeons in the United States, Canada, Mexico, and Europe. In other countries, especially countries in Europe, are quicker to approve more experimental procedures. In the past, bariatric procedures were performed openly. Now, most bariatric surgeries are performed laparoscopically with excellent results. Qualified bariatric surgeons are quite experienced with laparoscopic surgery, producing surgeries with lower recovery time, lower surgical complications, and aesthetically pleasing results. Open surgery was done through a large incision in the abdomen for the entire surgery to perform. With the advancement of medical technolgies, open surgeries are rarely performed, due to longer recovery periods as well as higher risks of infection, adhesions, and cosmetic scarring. Laparoscopic surgery is performed with medical instruments that have built-in cameras allowing surgeons to view the abdomen on nearby screens. The result is that there are five to six small incisions, rather than one large cut in the abdomen with open surgery. Single Incision bariatric surgery allows patients to undergo bariatric surgery with fewer scars. The patient’s scars heal more aesthetically while speeding up the healing time. Single Incision bariatric surgery is only available on more simplistic surgeries such as the gastric sleeve surgery. The endoscopic procedure utilizes an endoscope, a flexible medical instrument inserted through the mouth, rather than making an incision in traditional surgery. In newer, experimental procedures such as such as Endoscopic Sleeve Gastroplasty, the endoscope is used to place sutures in the stomach and making it smaller. Many individuals may conflate stomach surgery and stomach stapling as both are bariatric (weight loss) surgery. Both are essential components in weight loss surgery, but are different, and thus, necessary to distinguish. Stomach banding procedure relies on a medical device to wrap around and ‘band’ the stomach, thereby causing restriction – vertical banded gastroplasty and gastric banding. 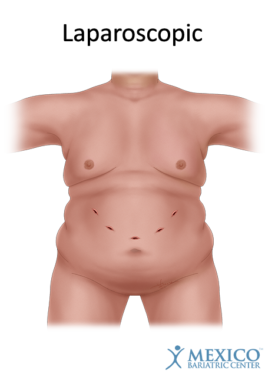 This type uses medical staples to recreate permanently and close a smaller stomach for individuals – gastric sleeve surgery and roux-en-y gastric bypass. * Success is normally realized by losing 50% of excess weight (EWL) and it depends on the type of surgery, BMI before surgery, surgeon competency, and post-surgery diet & exercise. 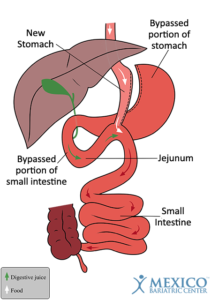 Procedures like Jejunoileal Bypass was performed in the late 1960s after surgeons learned that patients who had lost a portion of their small intestine would lose weight. Many old surgeries such as Jejunocolic Bypass, Jejunoileal Bypass, and Vertical Banded Gastroplasty are no longer performed due to their high complication rates and a slew of health problems including fatality. The Jejunoileal Bypass was performed from 1950 to 1970 to cure morbidly obese patients with two variations: ES (end-to-side) and EE (end-to-end). 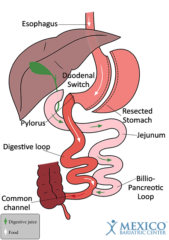 The Jejunoileal Bypass is a malabsorptive procedure and bypasses most of the intestine – It caused severe complications due to malabsorption, such as diarrhea, night blindness, osteoporosis, liver disease/failure, vitamin deficiencies, malnutrition, and death. Vertical Banded Gastroplasty (VBG) was performed as a restrictive or combination of restrictive and malabsorptive surgery, also known as ‘stomach stapling.’ VBG was designed to be a safer alternative to RYGBP and the JIB. 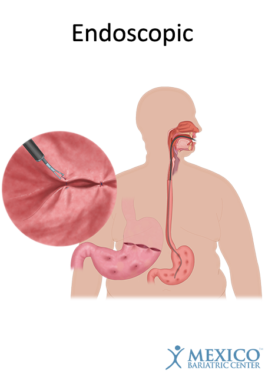 In this procedure, a gastric band and staples are utilized to create a small stomach pouch to restrict the amount of food content traveling down to gastrointestinal tract. Below are various experimental procedures that either upcoming FDA approval, experimental or approved in another country other than the United States. FDA approves the new device, Vagal Blocking, to curb hunger through the leads placed around the trunk of the vagus nerve. The pulses sent along the vagus nerve reduces hunger and increases feelings of fullness. This is a safe and reversible procedure that is performed minimally invasive. The company reports 28% excess weight loss over a period of one year for 12 hours of a day. Serious Adverse Events (SAE) related to this procedure includes neuro-regulator malfunction, pain at the neuro-regulator site, vomiting, collapsed lung and gallbladder disease. 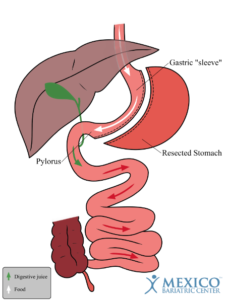 AspireAssist is an aspiration therapy system approved by FDA that helps remove about 30% of the ingested food from the stomach before the food enters the small intestine. 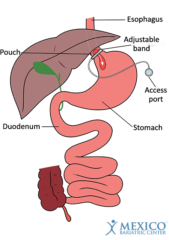 It is made up of A-tube inserted into the stomach (endoscopically) connected to the reservoir and the drain tube. Emptying the food after you eat and is ingested from the stomach into the toilet can be gross to some patients. Mexico Bariatric Center offers Hiatal Hernia Repair, Para-Esophageal Hernia (PEH) Repair, Cholecystectomy (gallbladder removal), and Plastic Surgery in Mexico. Gastric Sleeve vs. Gastric Bypass – Most Common Comparison of Surgeries. Gastric Bypass vs. Duodenal Switch – Very common Comparison. Both will contribute to high expected weight loss. Gastric Sleeve vs. Gastric Banding – Two restrictive procedures. Gastric Bypass vs. Gastric Banding – Both were once the top weight loss surgeries for surgeons to recommend. Lap-Band system vs. REALIZE Band – Different Brands that fall under the Gastric Banding category. Gastric Balloon vs. Obalon Pill – Both considered Intra-Gastric Balloon Procedures (both Experimental). Orbera vs. ReShape Duo vs. Spatz – Compare the three leading Gastric Balloon Implants.